Save Time This Easter with our Easter Egg Hunt Candy! Pre-Filled Eggs (pictured): Do you have a big Easter egg hunt to plan? Filing eggs can take up a ton of time and money. 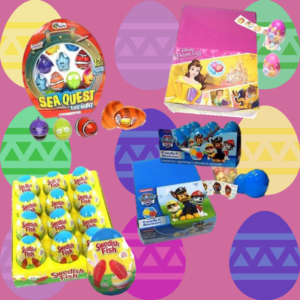 We have quite a few different types of pre-filled eggs that can save you time, along with mixes of Easter egg hunt candy for you to bolster those eggs with. All you have to do is hide them! Easter Gifts: Don’t have time to build and send an Easter basket? We have a can of Easter candy that has everything from jelly beans to chocolate in this reusable can. This makes a perfect gift for both kids and adults alike. All you have to do is click the gift icon and you’re ready to send. Retro Candy: Finding a specific Easter candy can be extremely difficult. Don’t spend extra time searching the isles of the grocery store and just order the retro candy you need from us! We have everything from Lerro Eggs, Gardner’s Eggs, to Peeps for you to stock up on before the big day. 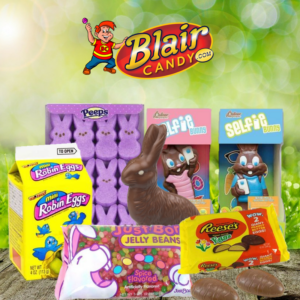 Save time this Easter by ordering all of your Easter egg hunt candy and gifts from Blair Candy! Check out all of our Easter candy today by visiting us at BlairCandy.com. Chocolate Coins: Chances are, you won’t be able to find the Leprechaun’s pot of gold. Make sure you have plenty of gold to pass out with our bulk bags of chocolate gold coins! Children of all ages will love collecting these coins and saving them to eat later. Air Heads: If you’re looking for a candy that adults will love just as much as the kids, be sure to grab a few boxes of Air Heads. You can stick with the green theme by either getting the green apple or watermelon flavors. We have both fun sized and full sizes so you can choose which you’d rather throw to the parade goers on the big day! Frooties: What candy comes in a ton of flavors, has vibrant wrappers, and is guaranteed to be a hit with the parade viewers? Frooties! 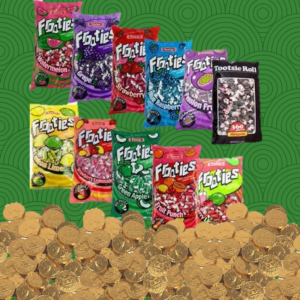 From green apple to strawberry lemonade, we have the bulk bags of Frooties for your float! With 360 pieces per bag, you won’t run out anytime soon after you stock up. There’s plenty of St. Patrick’s Day candy to choose from at BlairCandy.com. Be the best float on the parade route by ordering your candy today! Share It: Every office has a candy dish. Put a dish in the break room and fill it with the unopened candy. Or, if you’re ok with visitors at your desk, bring a pretty dish to work and keep it stocked. Everyone has a sweet tooth, so you’ll be able to get rid of the surplus in a snap. Fair warning though, you may be expected to keep up with the dish once your original candy is gone! Make Something Sweet: Speaking of the office, need something for the next potluck? There are tons of dessert recipes that use candy as an ingredient! This is a great way to get rid of candy and bring a show-stopping dessert to a school event, book club, or to a neighborhood party. Donate It: Don’t want to fuss with baking or bringing candy to work? You can donate your candy! There are tons of organizations that will gladly accept your unopened candy. Check out this blog post from Mommy Poppins on organizations that will take your candy or on how you can donate it to your local community! 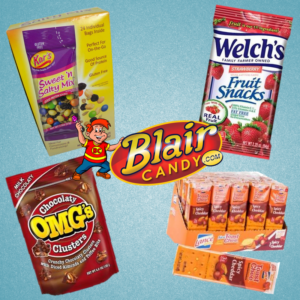 When you’ve gotten rid of that candy and are looking for something sweet your family will love, visit us at BlairCandy.com. We have plenty of treats that everyone will love and won’t sit in your pantry! Early Preview of our Easter Egg Hunt Candy! Peeps: Can you have Easter without Peeps? Of course not! We have all of the colors, bunnies, chicks, and more that make the Easter season special. We also have specialty flavors like coconut dark chocolate, strawberry cream, party cake, and sour cherry to surprise even the biggest Peep lover! Jelly Beans: Everyone has a flavor of Jelly Bean they love. 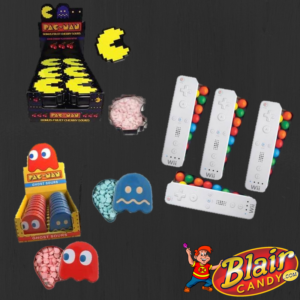 Whether you’re looking for the classic fruit flavors, crazy flavors, or just a hard to find retro jelly bean mix, we have it all. We even have jelly bean gifts to add to your Easter baskets! Chocolate Bunnies: What kind of chocolate bunny would you like to find in your Easter Basket? A classic, solid chocolate rabbit? Or a silly bunny taking a selfie? We have plenty of chocolate bunnies (and ducks too) that will be the perfect addition to your Easter celebration. Easter Egg Hunt Candy Mixes: Need to fill a lot of eggs this year? We have you covered. 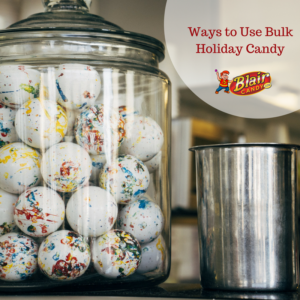 Choose from a variety of mixed candy options that help you fill a lot of eggs while staying on a budget. Plus, the more eggs you fill, the crazier your egg hunt will be! 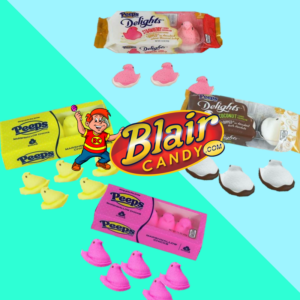 Start thinking of spring and head over to BlairCandy.com today to check out all of our Easter Candy! Ritter Sport: This German chocolate brand is great for someone who loves chocolate, but wants it with a twist. Aside from the standard bar of chocolate, they have delicious chocolate mixed with nuts, marzipan, and butter biscuits. We have single bars and a mini chocolate mix so you can try just some of their many flavors! Milka Bars (Pictured): Swiss chocolate is always an absolute delight and Milka Bars are a testament to that. These chocolate bars have been around since 1825 and have sold more than 400 million worldwide. Grab a bar of classic milk chocolate or try the bar with an Oreo cookie crunch! Lindt Truffles: There’s nothing more decadent than a Lindt Truffle. They come in a variety of flavors, but the milk, dark, and white chocolate truffles tend to be the favorites. With a hard shell and a creamy, smooth chocolate center, it’s hard to turn down one of these chocolates. 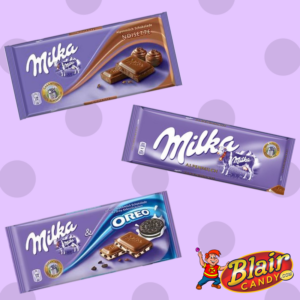 Check out these and other imported candy bars today at BlairCandy.com! OMG Clusters: Sweet and salty flavors are always great when it comes to snack food. Each bag has over 4 ounces of crunchy chocolate, almond, toffee clusters. These bags are great for on the go sharing because of their resealable bag. Lance Crackers: These have been a lunchbox favorite for years! 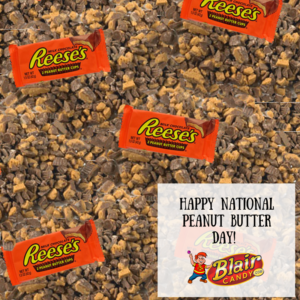 Lance has a variety of different flavors to choose from, such as peanut butter, cream cheese and chive, and even jalapeno cheddar. They make a great, quick snack whenever hunger strikes. Kars Trail Mix: Trail Mix has something for everyone! Unlike other packages, each package of Kar’s has plenty of trail mix in every package, making a satisfying snack every time. This mix of nuts, sunflower seeds, raisins, and chocolate pieces is also a good source of protein and gluten-free! Welch’s Strawberry Fruit Snacks: What’s made with real fruit, fat-free, a good source of vitamins C, A, and E, and is gluten-free? Welch’s Strawberry Fruit Snacks! Each bag has around 2 ounces of strawberry gummy fruit snacks. This snack has no guilt and all the flavor! Ready to try these snacks? Order these and other tasty snacks from BlairCandy.com! Make snack time more fun with these and other interesting treats today. OMG Clusters: Chocolate and Peanuts or Chocolate, Peanut Butter, and Pretzels are winning combinations. Get an 11lb box these delicious clusters for your next event and we guarantee your guests will love them. Malted Milk Balls: Looking to put something a little more sophisticated out? A bag of these malted milk balls will do the trick. Choose from espresso or café latte flavors for your more diverse candy consumers at your event. Sour Rolled Belts: What can’t you do with these sour gummy belts? Use them as decorations for cupcakes, put them into fruity, fizzy drinks, or just enjoy by themselves. This bag has over 6lbs of candy belts, so there’s plenty for everyone. Ready to see what else is new? 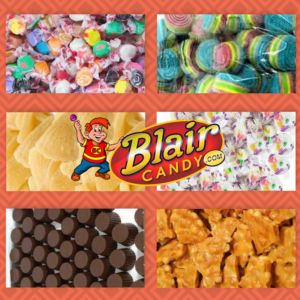 Visit us today at BlairCandy.com to see all candy in bulk options and many other treats that everyone will enjoy.